Dan Pink is an author and speaker. His books include Drive: The Surprising Truth About What Motivates Us, A Whole New Mind: Why Right Brainers Will Rule the Future (a great read on Audible), and The Adventures of Johnny Bunko: The Last Career Guide You’ll Ever Need. One of my favorite talks of all time is one he gave on motivation that was animated by RSAnimate, embedded below. Dan has travel tips on his blog. Here they are, shamelessly stolen from boingboing where I found them. Tip #5 — More hygiene! I’ve found that you can typically get around most countries just fine by knowing only a few words and phrases in the local language. That’s not to say that you’ll be free of problems and misunderstandings, but knowing at least a little bit of the language the locals grow up speaking is a great diplomatic move, if nothing else. It shows at least that you don’t disrespect their culture even if you’re not a connoisseur. Thank you. You’ll use this one a lot. If you don’t, you’re not really traveling. This is the basis of politeness and appreciation. Knowing this one in the local language is and should be expected. Where is…? This one is pretty critical for getting around. People will usually point and gesture so you don’t have to understand whatever they’re saying. You can use this when you know the name of the place you’re trying to go, when you’ve got a map, when you’re trying to get back to your hotel and, most importantly, to find the toilet. Toilet is nearly a universal word. Hello. Some cultures have a formal and informal greeting. It’d be nice to know both, but if you can’t go for the formal one. I’m sorry. Know this one for when you bump into someone or do something rude, etc. The person already probably thinks you’re a jerk, don’t insult him further by hurling foreign tongues his way. Yes and No. I lumped these together as one because they go together. Sometimes these can be difficult. For example, in many Asian languages, there is not really a way to say these things. You’ll often use yes or no when someone who doesn’t speak much English asks you something in your native tongue. They’re making an effort, you can too. Also, sometimes the situation will tell you what someone is asking you, for example, if someone bends to pour tea and says something you don’t understand, they’re probably asking if you want some. If you go beyond just those basics and learn some other pleasantries, you’ll get a lot more smiles. There are times when you’ll be sharing a few minutes with a local and may want to speak with them or you can see that they want to speak with you. I like… …oranges. …your country. …this city. …blondes. …beer. The possibilities are endless. I am from… …America. …the United States. …Georgia. …Atlanta. You’ll probably use this one a lot. What is your name?/My name is… This one is pretty common as well. I lumped them together because usually you hear one and then the other. And you use one and then the other. What do you do?/I am a… This is the same concept – small talk that people use. It’s more common to talk about your profession in the US than anywhere else but it can still be very useful as people try to figure out who you are. How old are you?/I am… This one can come in handy too, as you try to chat up your new acquaintance. Do you speak English? There is a misconception that you need to learn this in the local language, if only to be polite. It seems counter intuitive until you consider that you’d only use that phrase if you know almost none of the local language and are speaking to a total stranger. If the stranger speaks English, he’ll understand you anyway. If he doesn’t, you’ve gained nothing by asking in his language. Actually you’ve lost something. The stranger has no idea that you only know those four words and will probably assume that you know more of his language than he of yours. So it could silence someone who may otherwise engage you in a broken conversation – not the best of worlds, but better than you had before. In fact, it seems that the only people who use this phrase the most are Americans. Most other English speakers – even if non-native – just launch into English and hope they’re understood. It seems rude, but it’s probably the best way to get your question answered fastest. If someone knows the answer, they’ll tell you. If they don’t, they won’t. Airport lines are the bane of travelers. You wait in the line for tickets, then you wait to wait in security lines, then you line up to get on the plane, to get to your seat, to get off the plane…. It feels like the better part of my life is spent lining up at the airport sometimes. But I’ve learned some secrets to the lines that have helped me and should help you, too. Check in online. 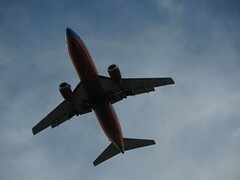 Most airlines now allow you to check in online the day of your flight or 24 hours beforehand. That reduces the cost to the airlines but more importantly it reduces your wait time. You won’t have to stand in line to do this at the airport and it’ll make your wait time for checking bags shorter. If you’ve just packed carry-on bags, you can go straight to the security lines which are sometimes in the opposite direction of the ticket counter which saves you more time walking. Time saved: 5-20 minutes. Check your flight online. There are plenty of places to check your flight online and make sure it’s still on time. Most airline websites and airports also have this feature. 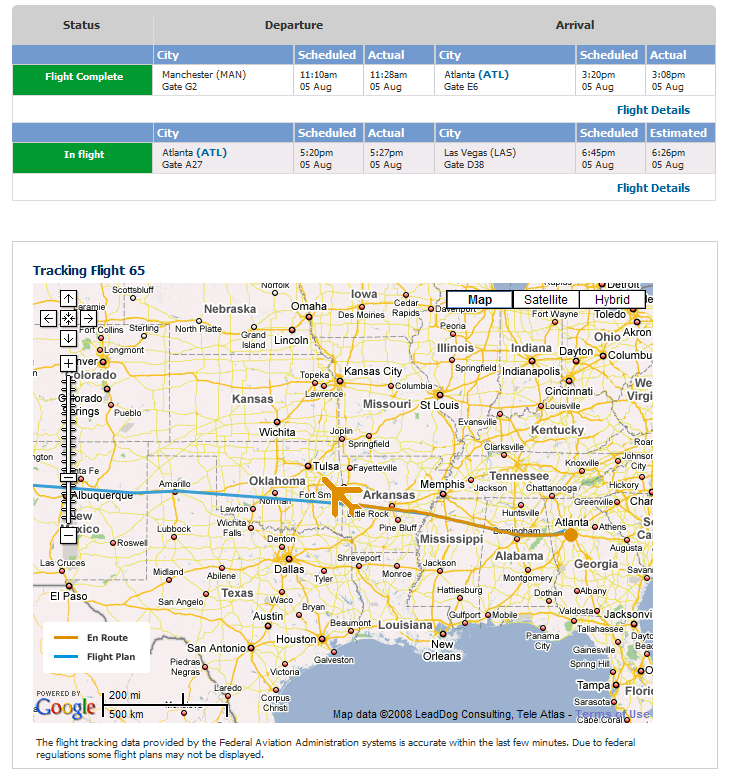 The FAA even has a site where you can check delays across the flight system. While this isn’t a guarantee that your flight won’t take off on time, it can give you a heads up if your flight is canceled or if there are widespread problems that will probably delay your flight. I’ve actually seen it where somebody wasn’t even going to go to the airport until they saw that their flight had been delayed by 2 hours. They easily made it and saved the cost of a rebooking. Delays aren’t absolute though, and I’ve seen 90 minute delays become 30 minute delays, so don’t risk missing a flight. Time saved: 0-60 minutes. Check airport facilities online. Many airports have implemented a feature where you can check the security lines and parking availability online. Some also allow you to sign up for alerts that will send you the approximate wait time on the day of your flight. The TSA’s site and others have similar features. Time saved: 0-20 minutes. Cheat in the airport’s security line. 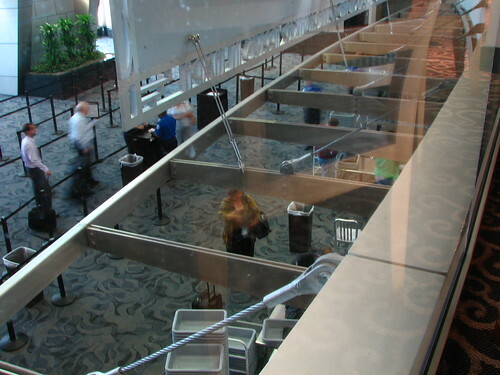 A lot of people don’t realize this, but the security line you wait in is actually two lines. One is run by the airport, the other by the TSA. Why does this matter? Because the airport’s security line is, let’s just say, optional. The airport’s security line is the one you wait in first. It extends from the last person in line up to the point where a TSA representative checks your ID. So why do I say they’re optional? Well, have you heard of the frequent flyer lines or the Fly Clear program? These allow you to get in a shortened line or skip the line altogether. If you don’t want to go through the background checks and pay the costs of Fly Clear, you can become an instant frequent flyer. Most of the time nobody checks your ticket to see that you’re one of the elite. So you can just walk right on through. Time saved: 5-60 minutes. Be prepared for the TSA line. Most people have gotten used to most of the rules, so things tend to progress fairly well. But every once in a while you get somebody will go through with belts, cellphones, keys, water bottles, etc. This delays them getting through, not to mention all the people behind them. Speed up your trip and ease frustration by doing it right the first time. Time saved: 5 minutes. Be patient when boarding the plane. Some people get up and mob the front, though it doesn’t get them on the plane any sooner. In fact, it probably gets them even more stressed out. So just sit tight and relax. Down at the bottom of the ramp everybody stands in line again to get on the plane. Board later when most people have already boarded. You’ll be more relaxed and have a chance to walk around before you sit down. In effect, you’re gaining more personal time when you’re not sitting on the plane. Time saved: 10-15 minutes. Relax and have a good attitude. This is the biggest thing you can do to ease your frustration. Have a good attitude and things will seem a lot easier, people friendlier and you can put your time to better use. Read, listen to music, walk around and explore, etc. Even the waiting can be made more bearable if you’ve got the right attitude and remember to relax. Frustration relieved: mucho. The language barrier is sometimes one of the hardest things to overcome when traveling. This is especially true if you are going to a region where you’ll experience many different languages and/or dialects. You can’t possibly learn each one. I have seen books before which are simply photographs of everyday things. The idea is that you point to something in it and can communicate that way. So if you want eggs for breakfast, you point to a photograph of eggs when you are ordering your meal. But then there is the problem of how to prepare them, what side dishes you want, etc. So I figured it’d be a great idea to take a photo of every meal and build a small collection of foods you like. You can print out the pictures at an Internet café and carry them with you, or just show the person the picture on your camera. It might even be possible to publish a book with local or regional foods, photos of the prepared dish, the name of it in the dialects of the areas where it is served, etc. You could probably have about a dozen that would cover 80-90 percent of the world. If anybody decides to do this, I’ll happily take some royalties or at least tag along for the research! You hear me, Anthony Bourdain?